Boys are also encouraged to come forward to learn musical instruments. 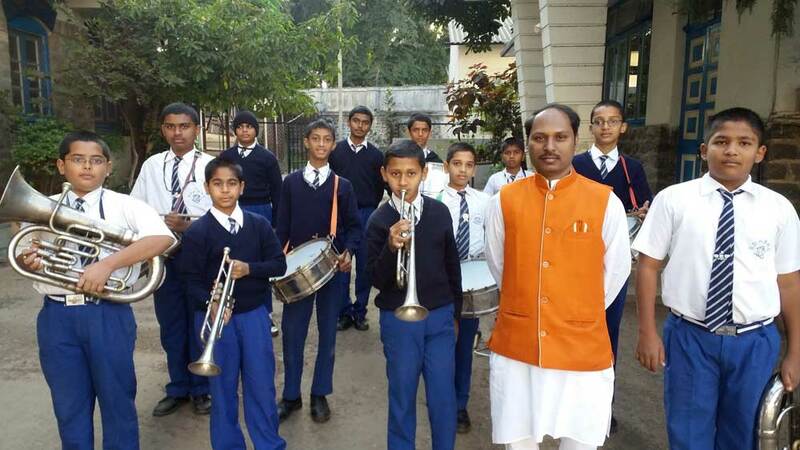 Talented ones are included in the School Band which displays its skills on important school functions. Selected students are also given coaching in western music to constitute the School Choir. To perpetuate the memory of Shams-ul-Ulema Sardar Khan Bahadur Dr. Hoshang Jamasp Dastur, M.A., Ph.D., C.I.E., a great scholar, the Sardar Dastur Hoshang Boy's High School was inaugurated on the 8th January 1912 to meet the Educational needs of the Zoroastrians in and around Pune. Its availability as an English Medium School for boys.